Momma Told Me: That's the way the cookie crumbles. Last week was a dreary one here in my part of Southern California. I feel bad for complaining, partly because it's in the 70s and sunny outside now and, because a great portion of my friends and family were covered in over a foot of snow. You see, I love the rain, but it's those grey days in between I can't tolerate. They make for terrible photography days for me, and I honestly feel motivated to do little more than crawl back in bed with a book and read the afternoon away. I digress, so there I was on day 3 of grey afternoons when I decided to dabble once again with Vegan baking. The week before the Girl Scouts had turned up at our bowling league peddling their wares and the entire alley was flooded with people eating straight out of the box with no regard for New Year's Resolutions. Not that I judge- I so sorely wished I was one of them, but my self control weighed out. Every year I buy at least 1 of every Girl scout cookie variety under the premise it's for a 'good cause' all the while hoping there will simply be a donation box I can contribute to next year. As it turns out you CAN easily donate to your local girl scout chapter ONLINE- so this year, I have! You can also use the new Digital Cookie platform to order cookies online and have them delivered to a family member or charity organization by mail or in person from a Girl Scout themself! So there I was, mulling over the fact I was so clearly Girl Scout Cookie-less, on a dreary weekday, inspired to make something vegan when it hit me- Vegan Samoa Cookies. Somoas are the perfect cookie to Vegan-ize with a shortbread base, plenty of coconut and a chocolate drizzle that easily translates to dairy free. In fact, this recipe only has 9 ingredients, and anyone with shortbread experience can master these in not time. 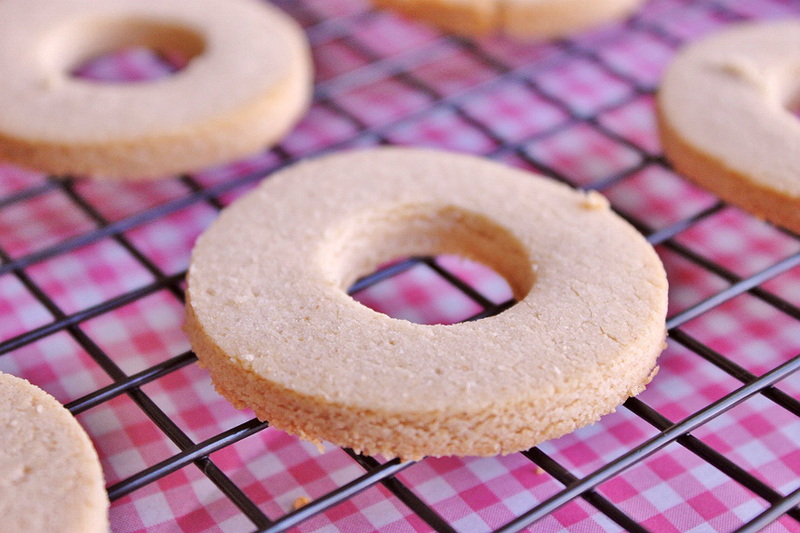 Of course, if you've never made shortbread before, you may want to avoid making your first time with a Vegan formula. Shortbread is notoriously temperamental for over-baking/blackening on the bottom, and requires a bit of patience when making cutouts. In this case you can add a little extra Earth Balance (vegan butter) but the Coconut Flour will still tend to want to fight you unless the dough is kept perfectly chilled. In my case it also didn't help that I didn't have a small circle cookie cutter the right size for the center punch out- so I spent extra time trying to pry dough from my 'O' Bento cutter every other cookie. 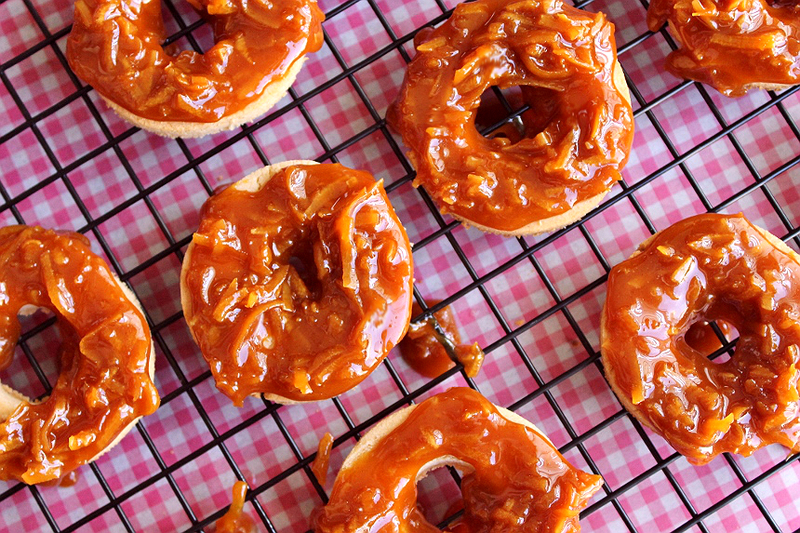 When I served these I kept getting asked how I made a Vegan caramel- with the wide variety of Vegan items originally based off animal byproducts I always have to chuckle when I'm asked how I made something Vegan. You can literally make anything in Vegan imitation form. This caramel is actually made almost identical to dairy based caramel, but with Vegan butter substitute and Coconut Cashew milk instead. The color and consistency is near perfection- the only difference is that it seems to harden more over time, and should never be served from the refrigerator. So, feel free to grab the recipe below and give it a try- you certainly won't regret it. I served these to otherwise 'ordinary' non-Vegan consumers at the alley last week and had multiple requests for the recipe. Just note not to bake them on foil (use parchment or silicone liners) or you will likely crisp the shortbread. Imagine how impressed your family and friends will be when you tell them you made your own Girl Scout imitations, and they're entirely animal byproduct free! Now, tell me, what Girl Scout cookie would you love to try in Vegan form the most? I just might share a recipe! 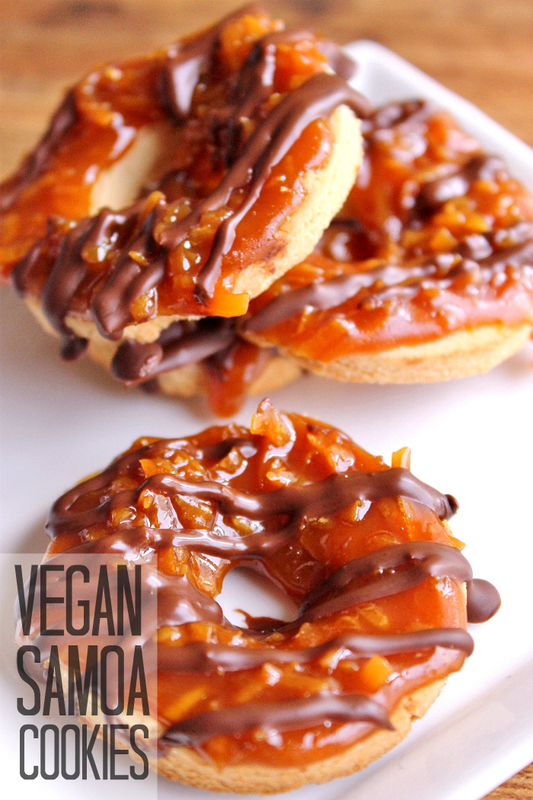 What Daughter Says: Shortbread may be a frustrating cookie to work with, but these Vegan Samoa Cookies are completely worth it! 1. Line 2 baking sheets with parchment paper or silicone baking mats- DO NOT use foil! 2. 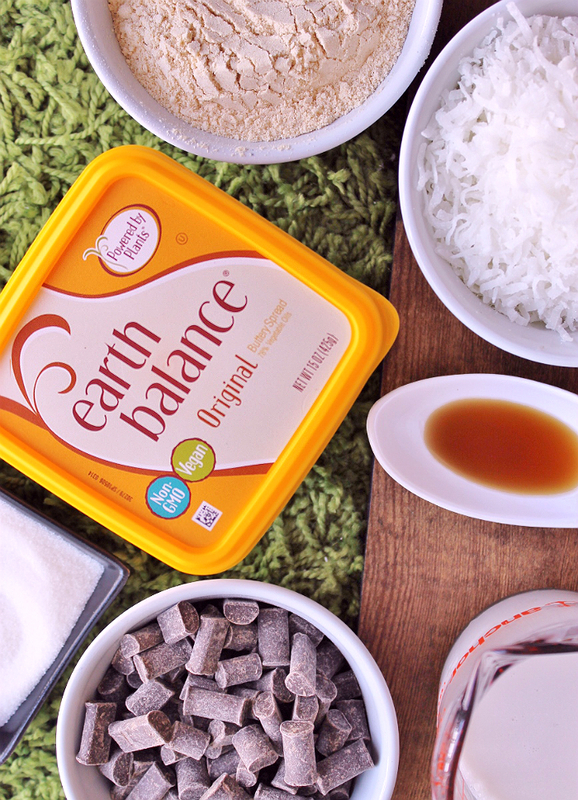 In a medium bowl beat Earth Balance, coconut sugar, vanilla extract, and coconut milk until creamy. 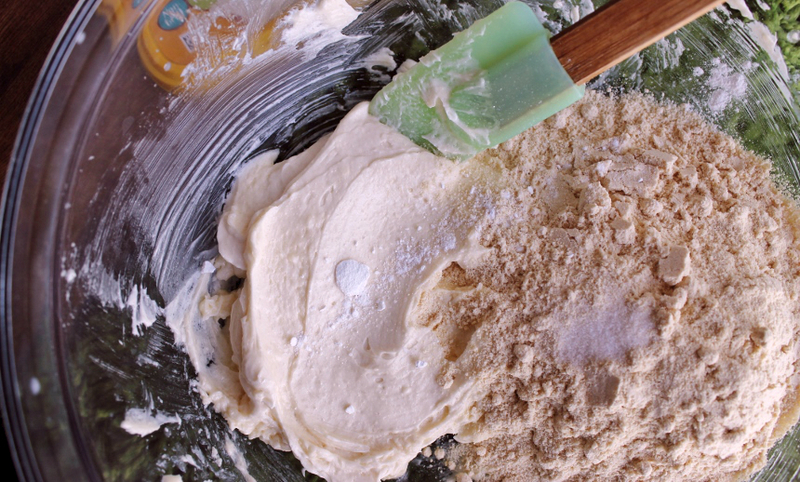 Add the coconut flour, baking powder, and salt until well combined. Knead dough into a ball and place it in a bowl- refrigerate for 20-30 minutes, or until firm. 3. Preheat your oven to 350F. Roll the dough out on a floured surface to about 1/4" thickness. 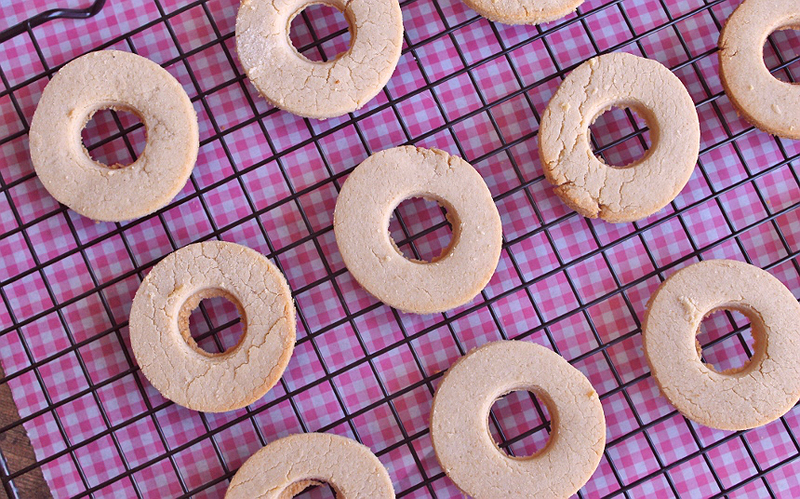 Using a circular cookie cutter cut out cookies and place them on a lined cookie sheet. 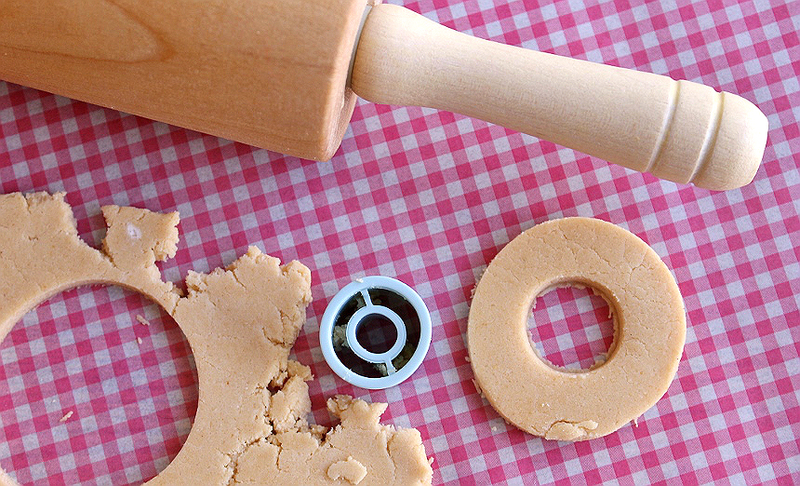 Once the cookies are on the baking sheet cut the center circles- do not try to transfer the center cut cookies- this shortbread will tend to crack and crumble prior to baking. 4. Bake cookies for 10-12 minutes, or until they begin to brown on the edges. Be very mindful of the color of the cookies as the bottoms will likely brown quickly. 5. In a small pan over medium heat begin the caramel topping. Melt the sugar, stirring constantly. 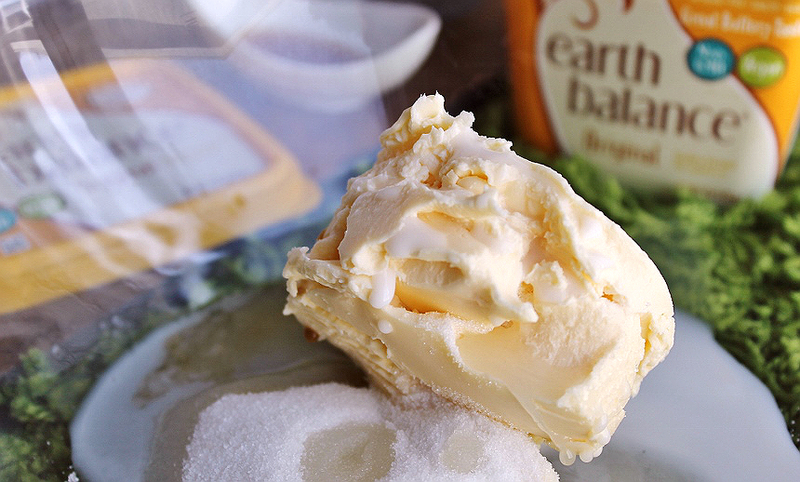 Once the sugar melts to a light brown color (you will notice it start to smoke,) add the Earth Balance and coconut milk, whisking constantly. 6. Continue to cook the caramel until slightly thickened, so as you can see the bottom of the pan when you slide the stirring spoon/spatula across. 7. 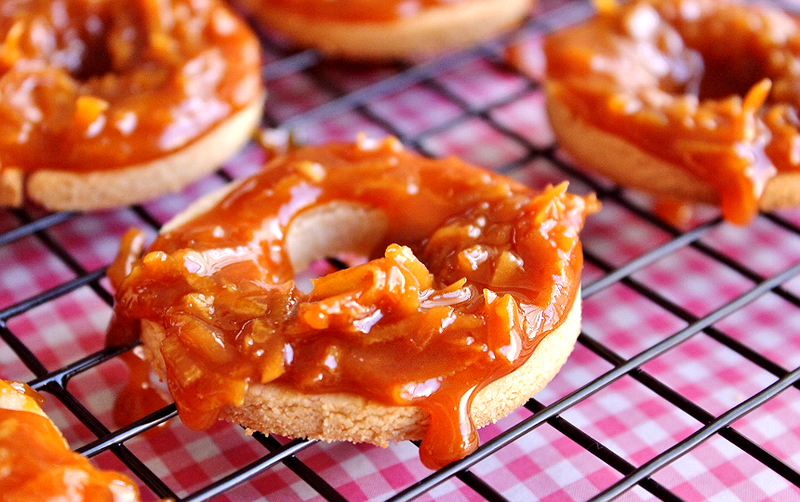 Remove the caramel topping from the heat and stir in the vanilla extract and coconut flakes/shreds. Once slightly cooled spread the caramel topping over the cooled cookies. Place the spread cookies int he refrigerator for 20 minutes. 8. Melt your dairy free chocolate with 1 TBS Coconut Oil, stir until evenly combined and melted. Dip the bottoms of your cookies in the chocolate mixture and place them on a sheet of parchment paper or a silicone mat. Drizzle the remaining topping across the top of your cookies. They look gorgeous. I've never baked vegan - I'm attached to my butter, what can I say. 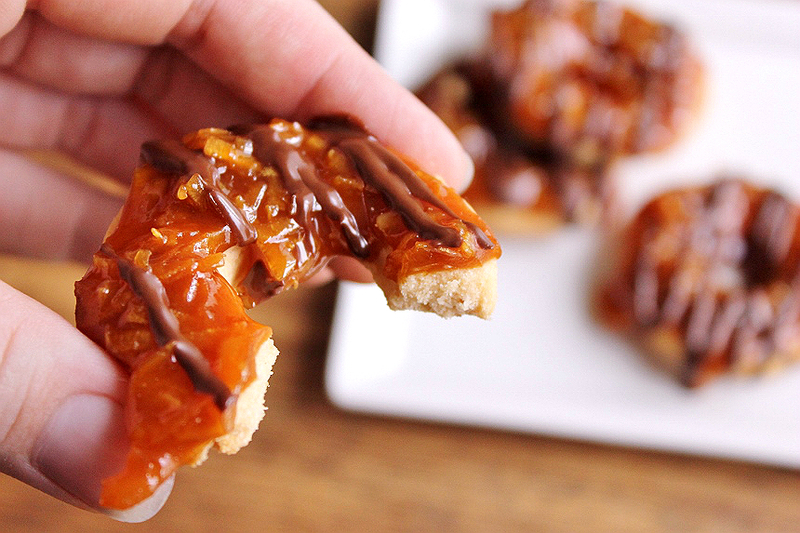 Samoas are my favorite GS cookie. I really don't eat any other kind so I can't make a suggestion for you. I think the thin mints are the next big favorite but I don't really care for them. Frankly there is no better cookies than shortbread in my book. They are perfect and YOU just made them better. Samoas are my all time favorite Girl Scout cookie. I would attempt to make them myself, but I have tried making shortbread and it did not turn out well. Those look delicious. These cookies are one of my all time favorites, but I refuse to spend five dollars a box! I look forward to trying your recipe, which I am sure is far healthier than the traditional variety as well. I love this better for you recipe so much! Your images make me want to grab a cookie through the screen! Samoas are one of my favorite Girl Scout cookies!! These look and sound amazing, especially the topping! 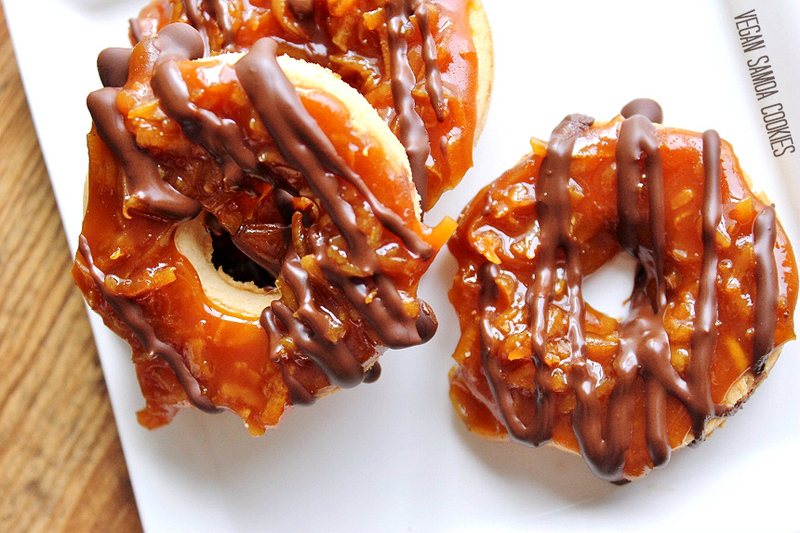 Samoas are my wife's favorite too! Need to show her this take on it! Oh my yummy goodness. this looks like deliciousness in my mouth! yummy! Why is it worth eating?